Prototype HA-200E with civil registration for the Le Bourget airshow June 19-20, 1965. 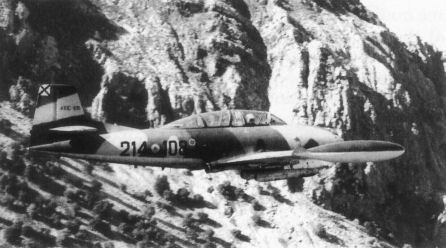 For most of their service, C/A.10Cs were operated in an irregular camouflage scheme, which differed considerably from one aircraft to another. 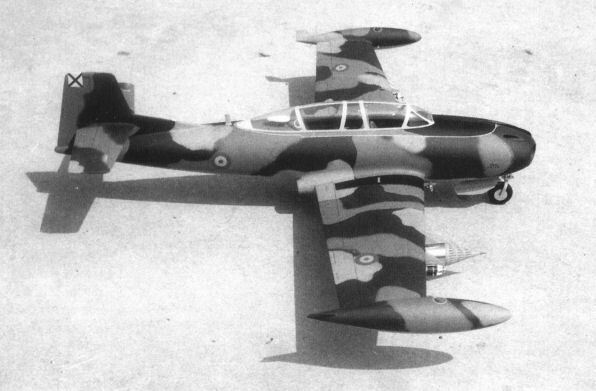 This scheme was unique within EdA aircraft. 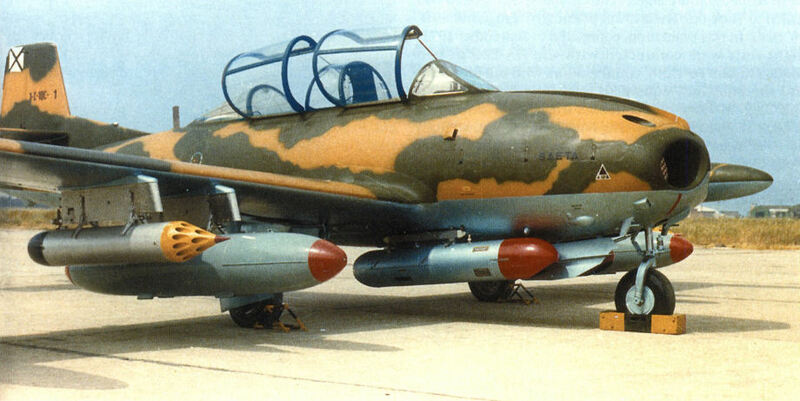 On April 19, 1978, a new directive was issued calling for a new camouflage scheme similar to that of the F/RF-5A/Bs. 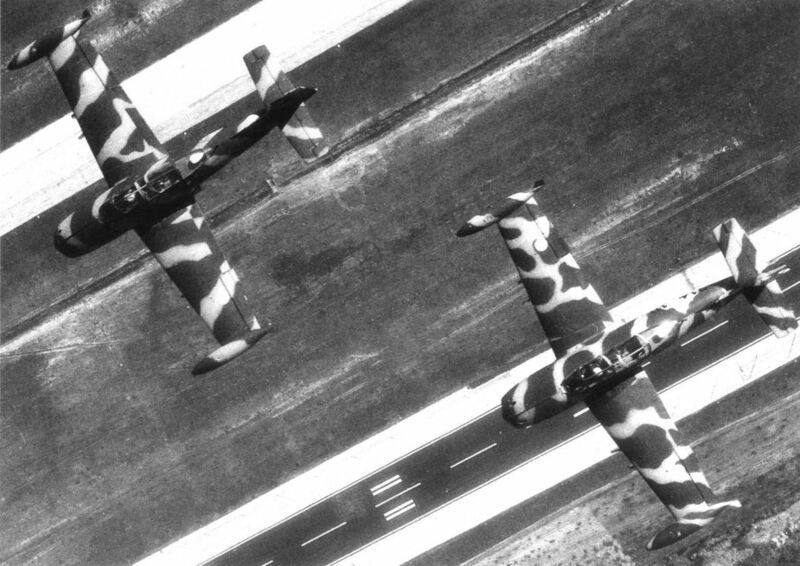 In the event, the type's withdrawal prevented the whole A.10C fleet being painted, and only six or seven aircraft received the new camouflage. 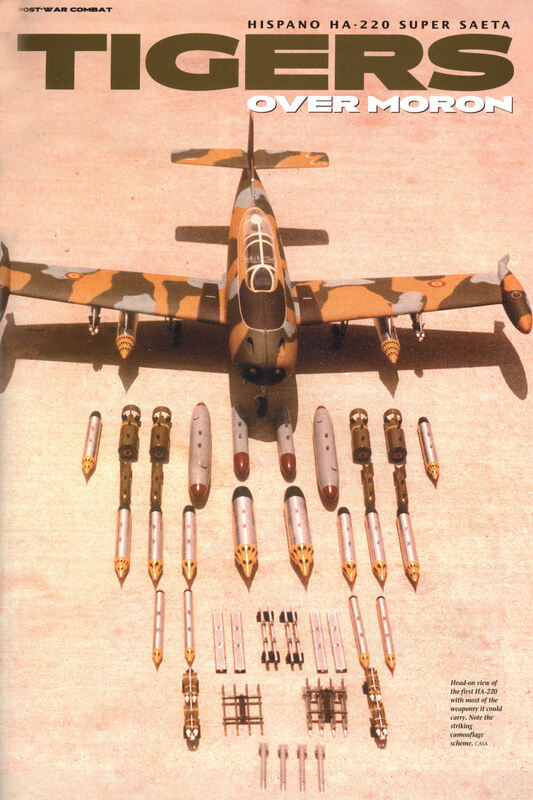 At least three of four A.10Bs also were seen wearing this camouflage scheme. 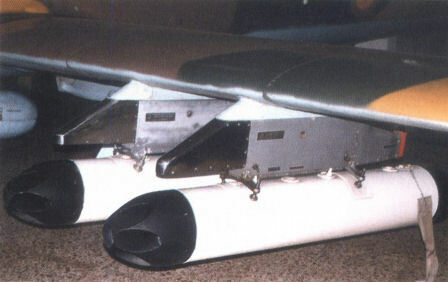 Head-on view of the first HA-220 with most of the weaponry it could carry. Note the striking camouflage scheme. 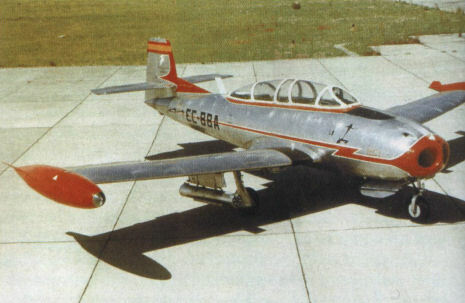 HA-200E prototype EC-BBA showing the strong resemblance to the HA-200, the only striking difference being nose shape and the antennae array in the rear fuselage. Still wearing the C.10C-1 tail code, the first HA-220 shows the later camouflage scheme, roughly similar to that applied to the whole C.10C series. 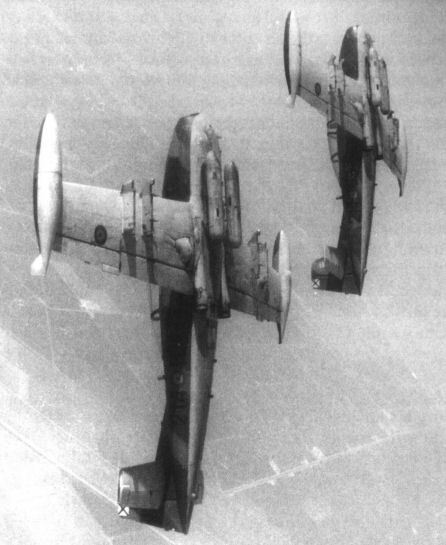 Two LAU-32Bs were often carried on the underwing pylons. Despite their similarity, the pylons in the picture were in fact of two different models. A tight formation of four C.10Cs on route to Moron. Most of these aircraft were ferried from Torrejon-based 406 Escuadron (GEV) by 214 Escuadron pilots. 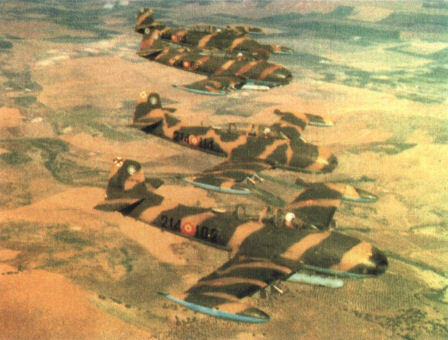 C.10C-102 shows the camouflage scheme that differed considerably from one aircraft to another. Perhaps it blended well with the Andalusian landscape. Showing a well-worn camouflage, A.10C-93 at Moron a few weeks before 214 Escuadron's disbandment. On the last day of 214 Escuadron's existence, five A.10Cs made a final flyby over the Moron parking ramp. A.10C-98 inside a hangar after being withdrawn from service. It was acquired by a Spanish private owner and is still in airworthy condition, occasionally giving displays at air shows. In 1982, to commemorate the presence of HA-220 at Moron for almost five years, A.10B-52 was placed on a pole at the air base. 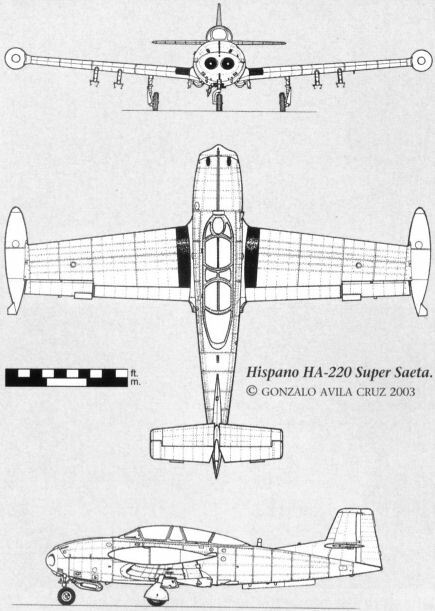 First production HA-220, C.10C-1 in a short-lived non-standard camouflage scheme, soon changed to the usual olive green and tan. 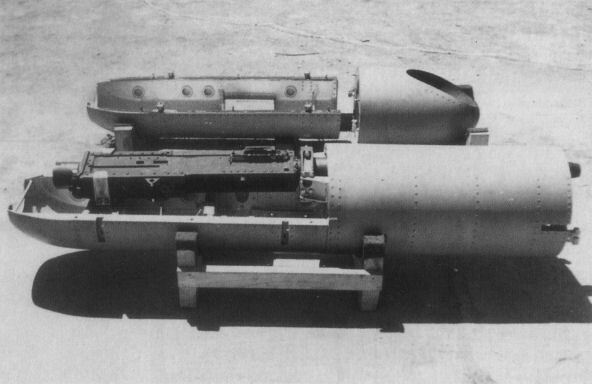 Close-up of the pod containing the 12,7mm Browning M-3 machine-gun plus ammunition box. C.10C-96, one of the first HA-220s delivered to 214 Escuadron, was also one of the first aircraft of the type to receive unit markings. C.10C-107 and -115 pull 'g' in the sunshine over the Atlantic. 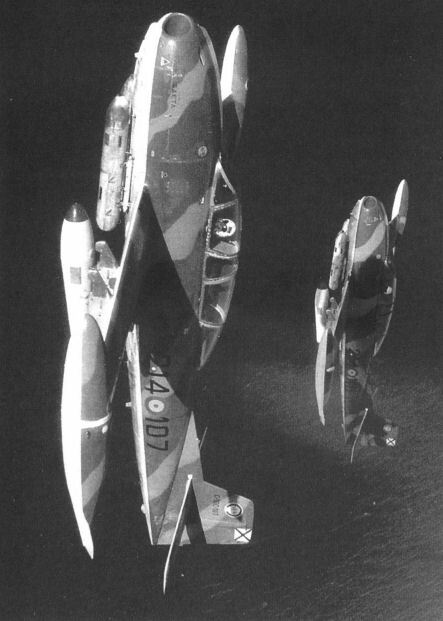 Two C.10Cs during a high-g manoeuvre after having dropped practice bombs over a simulted target. Taken by the Maurer P-2 vertical camera, this very low level good quality picture shows C.10C-11 and another unidentified C.10C flying low over Moron's runway. Aggressive image of C.10C-99 and C.10C-102 diving over a target, shortly before firing its machine-guns. Passing along a mountain during a low-level mission, A.10C-108 wears the last camouflage scheme, which was applied to only six or seven aircraft owing to the imminence of the type's passing out.